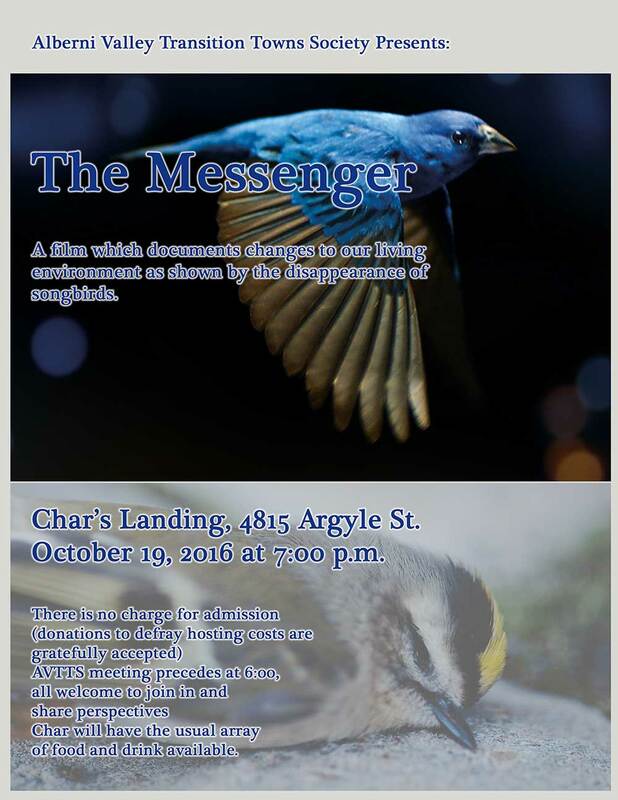 AVTTS will host a screening of the film The Messenger at Char’s Landing October 19, 2016 at 7:00 p.m. It should be of interest to all and sundry, but particularly those interested in being out in nature and any birders that might be out there. The film will be preceded by the regular monthly meeting of AVTTS, starting at 6:00. All welcome. Become a participant in making Port Alberni a more vibrant and resilient community.